So you’ve dieted down, you’ve reached your target weight and you’re looking and feeling great. 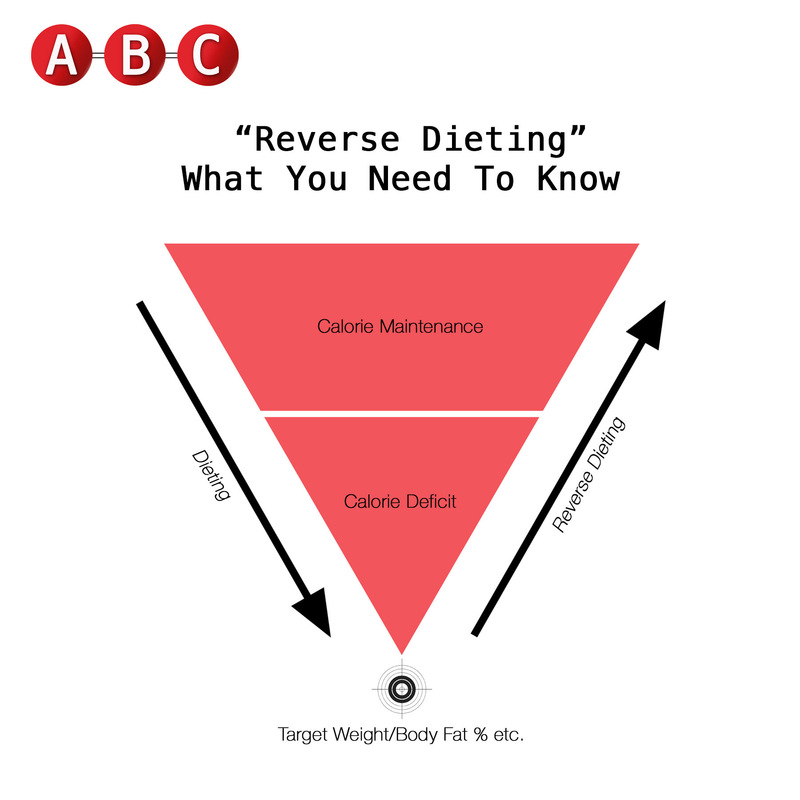 Enter reverse dieting! In today’s post I wanted to discuss this often talked about topic and give you everything you need to know, from what it is, to its practical applications. Without further ado let’s get to it! So what is it? 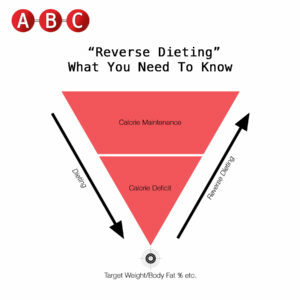 Reverse dieting is a term often used within the competitive bodybuilding and weightlifting community, it does also however have applications for you and I. It’s used to describe a period after calorie restricted eating during which you gradually increase your calories back up to a new maintenance level. Notice I used the word gradually? The key here really is gradually! If you do it too rapidly and “overcook” it, you could end up gaining much of the weight you’ve just worked hard to lose. The benefits of reverse dieting stretch far beyond the obvious – bring calories back up to a healthy and sustainable level after a prolonged period in a deficit. For the majority of individuals, a low calorie diet isn’t sustainable for long term health and happiness. Long periods spent in a calorie deficit can also negatively impact various hormones such as the thyroid hormones and consequently the metabolism. By increasing your calorie intake gradually, a reverse diet allows these to return back a normal, efficient function. There is also a psychological benefit which often gets overlooked, this is improved control. By having a post-dieting plan in place it can minimise the occurrence of rapid weight gain due to binge eating that very commonly occurs in the window after following a diet. Week 5 of reverse diet – Weight gain noted! Remember this increment percentage is only a guide as it’s going to be trial and error for each of you as individuals. And let me just clarify, once weight starts to increase again STOP your reverse dieting, as you’ve reached your maintenance level. The amount of weeks this may take will differ from person to person. Any questions, please drop them in the comments below!